Lecture: "Policy vs. Science: The Politics of Climate Change"
Climate science can tell us how and why the earth is changing but not why we allow it to do so. While global warming is a function of chemical processes by which atoms combine to form an imbalance of molecules, policy and markets directly affect how many of those molecules are in our atmosphere. In the perfect world, science would inform policy and policymakers would act in ways to forestall or prevent the future doom. In many political environments today, that is simply not happening. The reasons humans ignore the science points toward a potentially catastrophic outcome. Patrick Regan, associate director of Notre Dame’s Environmental Change Initiative and professor of political science and peace studies, will explore climate change in the context of policy and ask why it does not seem to comport with sound science. He will contend that climate change is now more about the politics than the science. Patrick Regan is the associate director of Notre Dame’s Environmental Change Initiative (ECI) and professor of political science and peace studies. At ECI, Regan is engaged in the Notre Dame Global Adaptation Initiative (ND-GAIN) and its analysis of human social adaptation to climate change. He is the author of five books, most recently The Politics of Global Climate Change (Paradigm, 2015). 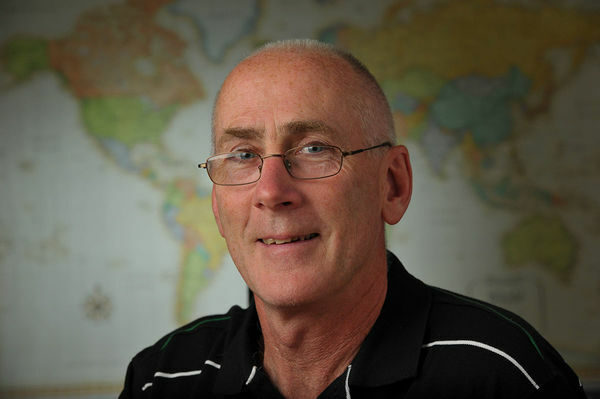 Since earning his PhD from the University of Michigan in 1992, Regan has served on the faculties of Canterbury University in New Zealand and Binghamton University in New York. He was also a Fulbright research fellow at the Peace Research Institute in Oslo, Norway, a visiting faculty member at Bogacizi University in Istanbul, and a visiting scholar at Sichuan University’s Center on Ecology, Environment, and Sustainability in China.